PHILADELPHIA (AP) — Writer Geoff Johns has taken DC Entertainment's Green Lantern and its associated characters through brightest day and blackest night, but after nine years of scripting tales about the galactic police force whose rings are powered by will, he's leaving the series in May with issue No. 20 to focus on the Justice League and its related titles. In doing so, Johns is stepping away from the characters that he first tackled in the pages of "Rebirth," a six-issue miniseries drawn by Ethan Van Sciver in 2004-2005 that brought characters such as Hal Jordan, Guy Gardner, Kyle Raner and John Stewart back to the forefront while revisiting the six-decade history of the Green Lantern Corps. "I'm really proud of all the stuff we've built with Green Lantern — from Larfleeze to the different corps," Johns told The Associated Press about his decision. "The universe has expanded and will live well past my run. It was more than just telling another story, but really giving back to the character by expanding and adding to their mythology." 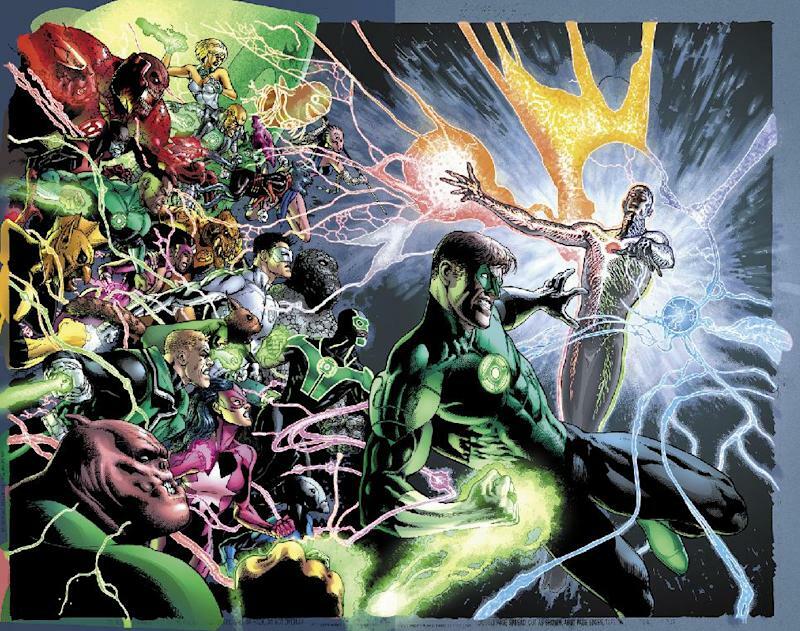 Now, after nine years of writing about Green Lantern, as well as the assorted heroes and villains, along with helping retool their origins for DC's 2011 revamp dubbed "The New 52," Johns said he'd reached a point in the current story to step away and let someone else take over the writing. "I was getting to an end point and a story line that made sense for me. I felt like it was time to close my run and focus all my energies on the Justice League corner of the DC Universe," he said, noting that his stories were collaborative efforts with artists and editors like Ivan Reis, Joe Prado, Van Sciver and Peter Tomasi. "It was a very, very hard decision. I absolutely love these characters but I felt like I had a story line that really made sense and felt emotionally satisfying and felt very big and very epic." He's taking some characters from Green Lantern with him, too, including Simon Baz, a Muslim-American Green Lantern that Johns created. Johns, who is DC's chief creative officer, was guarded in discussing his plans for the publisher's Justice League books, but said the time was right for him to make them his primary focus. He'll be working with writer Jeff Lemire and continue to write "Aquaman," too. The Green Lantern titles will continue, too, and Johns promised a "monster of an issue" for "Green Lantern" No. 20, which is illustrated by artist Doug Mahnke. "It really, for me, ties everything else and ends the Green Lantern saga," Johns said of the 64-page issue. "This story — the way the story evolves — I think people will get a sense of finality from it." DC Comics is owned by Time Warner Inc. Follow Matt Moore at www.twitter.com/mattmooreap. Bane Brutally Introduces Himself To The Troops from "They Did What?" Bane & Gordon Face Off At The Wall from "They Did What?"